Amalgamation of advanced surgical skills in minimal access surgery and radical surgical oncology techniques let to development of Minimally Invasive surgical Oncology. 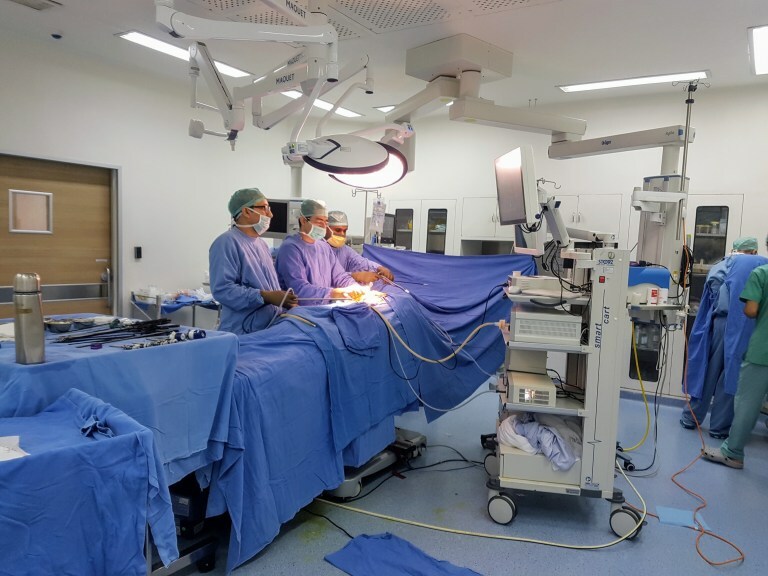 The aim of the technique is to pass on the benefit of appropriate cancer treatment and keyhole surgery to the patient so as to improve their postoperative outcome and lessen the difficulties faced in the post operative period. Dr Nitin Leekha has been doing minimally invasive surgery for cancer for last many years and have benefited innumerable patients. The aim is to decrease suffering of the cancer patients and to make them fit for adjuvant treatment as soon as possible so that they can get rid of cancer. It is very Important to get correct advice and good surgery in the early course of disease. For further help fill up the details on contact form and we will get back to you.